Do you work with students who struggle with letter identification or letter reversals? Have you run out of fun ideas to practice the skills necessary to determine the differences between similar letters like B and D? 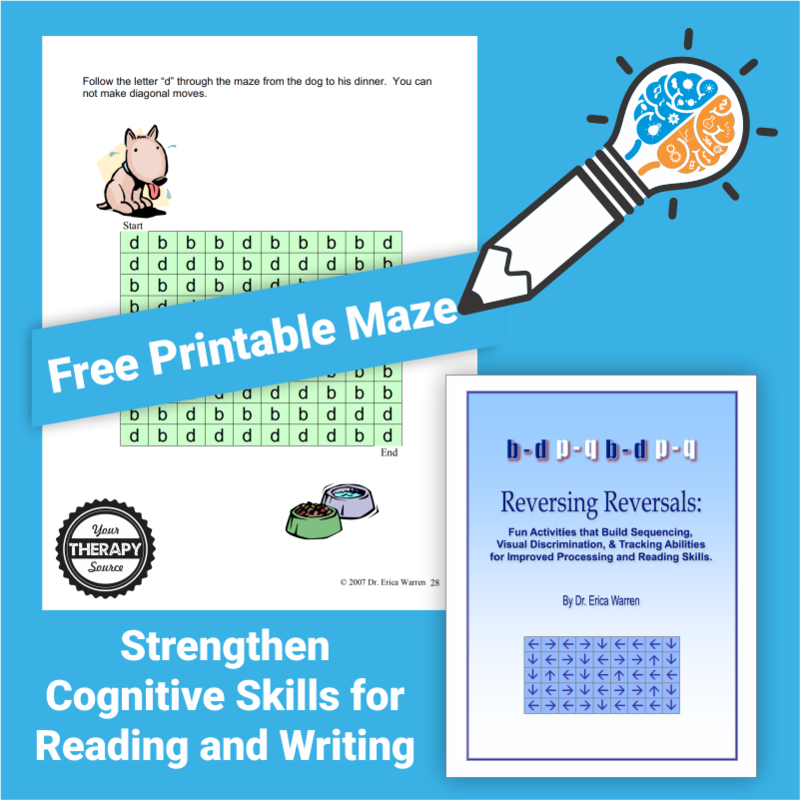 This free maze will help strengthen cognitive skills for reading and writing by working on recognizing the correct letter. 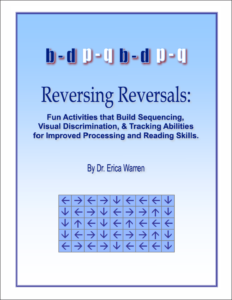 This freebie is from the complete Reversing Reversals digital download created by learning specialist and educational therapist, Dr. Erica Warren. Download the maze below to help the dog follow the letter ‘d’ through the maze to get to his dinner. DOWNLOAD YOUR REVERSING REVERSAL FREE SAMPLE MAZE. Get more information on the complete Reversing Reversals digital download here. Tracking activities for vowel and consonant discrimination and common reversals. Challenging coloring activities for common reversals. Mazes that strengthen letter and number discrimination. Activities for left/right and cardinal direction recognition.